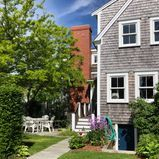 This unique West End waterfront compound is available for a one-of-kind, authentic Provincetown experience. 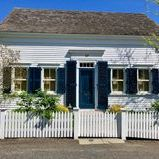 Enjoy staying in the two bedroom, two and a half baths main house, originally built in the 1830s by fisherman Roger Starr. 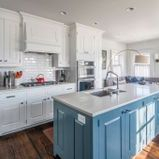 The main house is a desirable “Floater” house, which means it was floated across the bay from Long Point in the late 1800s to save it from the ocean’s battering tempests. 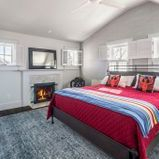 For a more intimate stay, adorned by endless ocean views and your own slice of the beach at your doorstep, opt for the one-bedroom, one-and-one-half bath beach cottage. Both homes are renovated and feature every modern amenity to make your stay truly special. 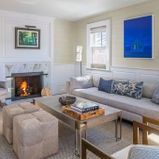 The compound property is situated right on the West End Bay Beach, with water views of the Long Point lighthouse. 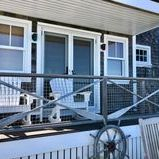 It is a short five-minute walk to town center, a skip and hop to drinks at the Red Inn, or a quick bike ride to Herring Cove beach. 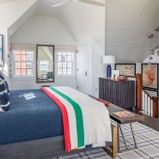 The compound includes two dedicated parking spaces (one for each house), high-speed WiFi, central heat and ductless air conditioning, premium hotel quality bedding and bath towels, sonos sound systems, as well as two in-unit full-sized washer and dryers (main house and cottage). 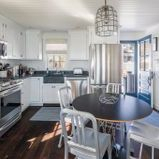 The property can accommodate up to six guests. The main house sleeps four and the beach cottage sleeps two. We do not rent to more guests than the beds accommodate. Please contact us for Off season rates.